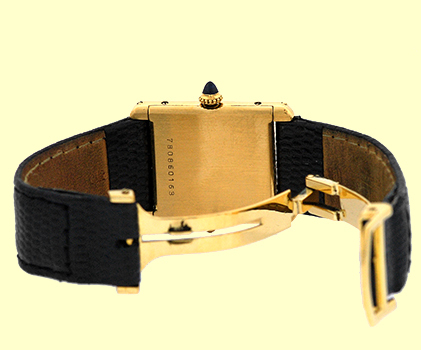 Vintage Medium 18K Yellow Gold Cartier "Classic Tank" Strapwatch. 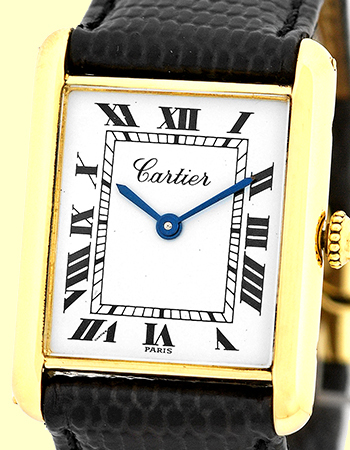 White Dial with Black Roman Numerals, Blue Sapphire Cabochon on Setting Stem. 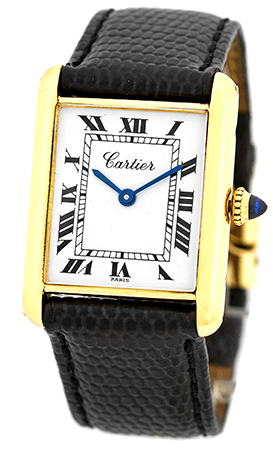 Black Cartier Lizard Skin Strap with 18K Yellow Gold Cartier Deployant Clasp. Swiss Mechanical Hand Wound Movement. 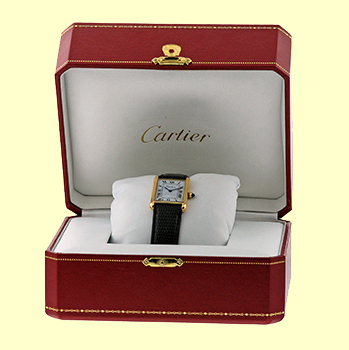 Vintage Condition with Red Cartier Box and Complete with Capetown's 1-Year Vintage Watch Warranty! !